To look into one of Magdalena Nowacka-Jannotta’s colorful and intricate papercuttings is to look into another world and wish you could go there. 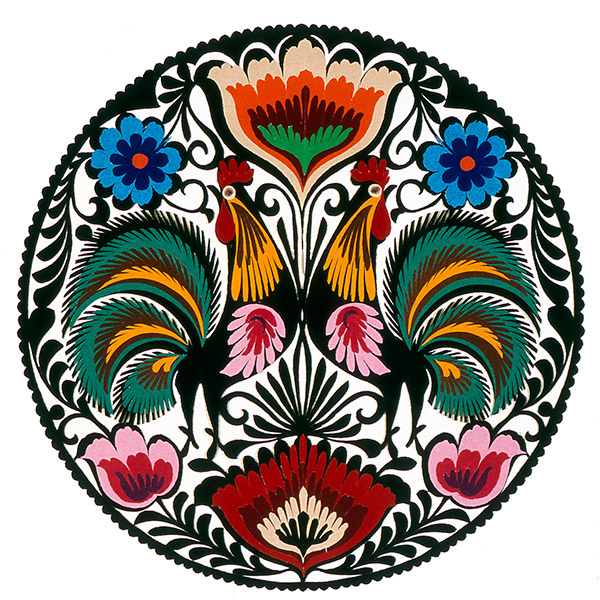 Magdalena practices the art of wycinanki, or papercutting in the Polish tradition, a form said to have originated with the cutting of designs by shepherds in tree bark and leather. 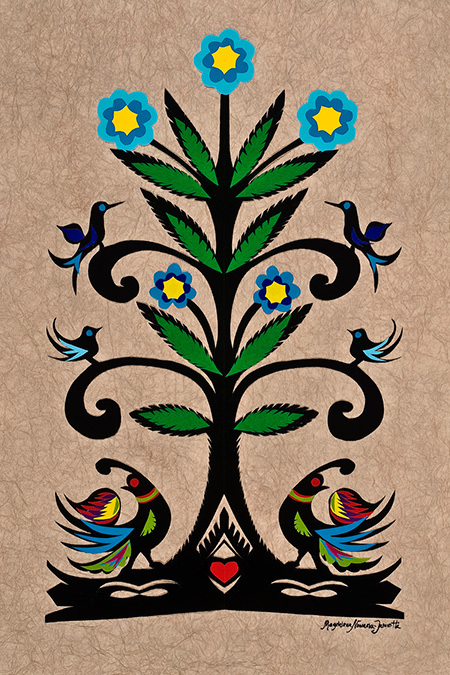 Wycinanki has long been used as decoration on roof beams, in windows, and on walls. In fact, says Magdalena, twice a year for Easter and Christmas, families would whitewash surfaces in the home and glue papercuttings straight to the wall. 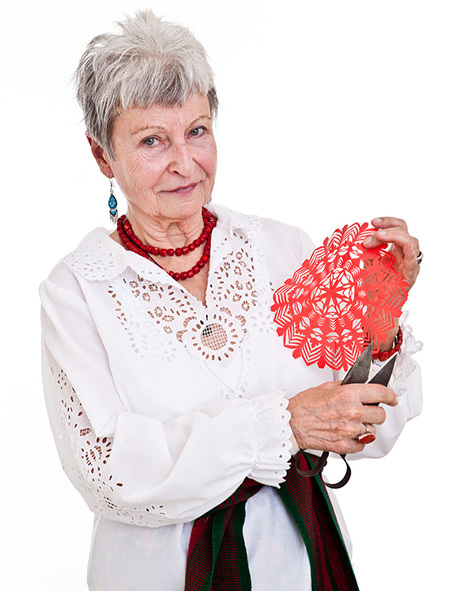 Magdalena has been practicing the artform for over 70 years. 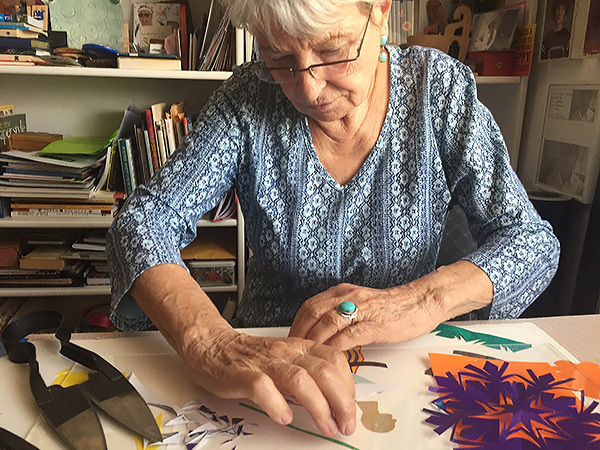 Her work reveals delicate, brightly colored flowers, farmers, dancers, maps, landscapes, and more—from Poland to the Sonoran Desert. The images conjure joy and history and heritage all at once. For me, someone who makes papercuttings with an X-acto knife, what’s most astounding about Magdalena’s paper masterpieces is that she creates them using a traditional Polish technique, cutting with large, double-bladed sheep shears! When I started my own papercuttings in 2011, I knew nothing of the Polish artform. Meeting Magdalena was also an invitation to explore my own heritage. My grandmother, a second-generation Polish woman who grew up in Minnesota, died when I was a baby. She wasn’t a papercutter like Magdalena, but she was creative and crafty. My mom used to show me birthday cards my grandmother made with collaged cut-outs from wrapping paper and recycled greeting cards. Meeting Magdalena, I felt an immediate kinship. In Poland, Magdalena lived a complex childhood, layered with love and sorrow. Born in Warsaw, she spent summers at her grandfather’s estate in the countryside. After the German invasion of Poland, her family was taken to a “re-settlement camp” back to Warsaw, but Magdalena was sick with tuberculosis so she was sent to live in the foothills of the Tatra mountains, where a mountain family cared for her. When she recovered, she returned to Warsaw for high school. She went on to attend Warsaw University learning Chinese studies. She still uses movement to find peace, she says, and is a devoted practitioner and teacher of tai chi. “I love the softness of this movement,” she said. As a girl, Magdalena learned papercutting from Madam Helena, a friend of her mother’s who showed her how to fold and cut newspaper. 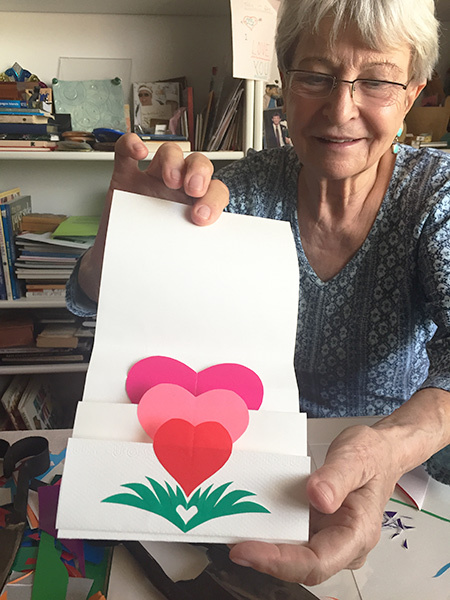 Now almost 85, Magdalena’s hands still move skillfully around a piece of folded paper. I watched her fold a piece of colored paper then begin cutting shapes from the fold, much like you would if making a paper snowflake. I prepared my own paper and started cutting, clumsily. I work on a flat surface, drawing on one side of a paper then cutting along the lines I’ve made. Magdalena draws nothing, creating all of her work visually, with folding and cutting. 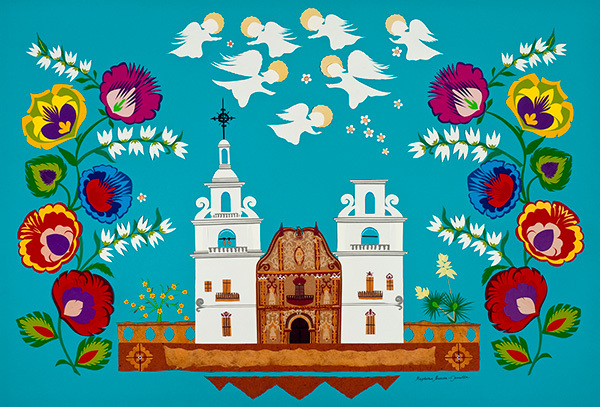 This impressed me, considering the variety of shapes and concepts that emerge from the paper: lovers, birds, angels, roosters, even the San Xavier mission. And of course, so many flowers. 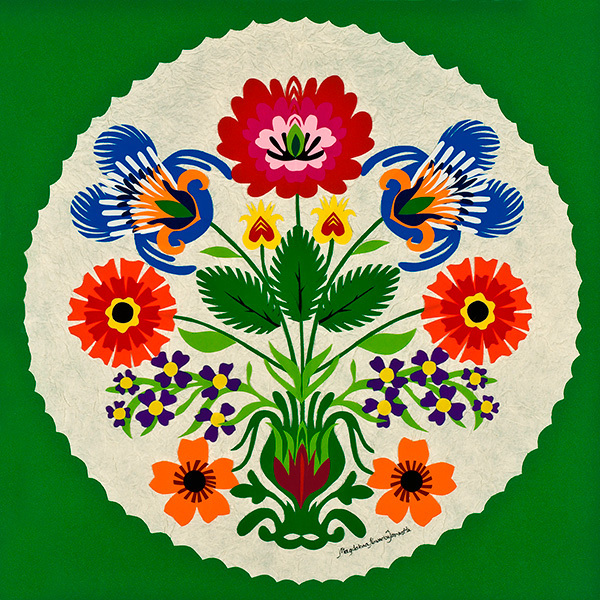 Many of her pieces involve layered cuts of various colors, a style from the Lowicz region of central Poland. 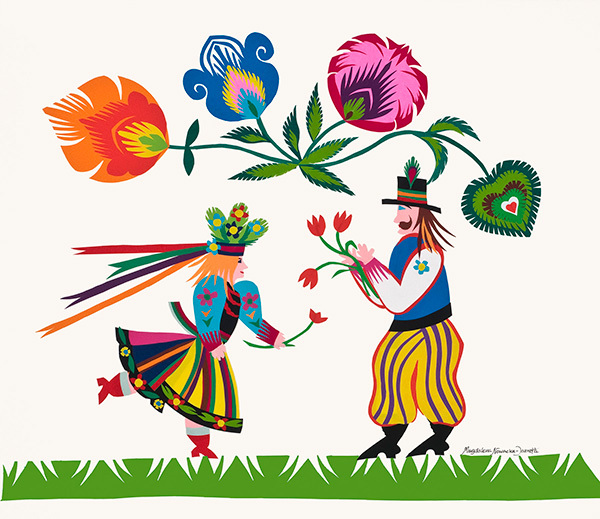 Other cuttings, borrowing the style of the Kurpie region, are made with a single color. After finishing her university studies in Warsaw, Magdalena got a scholarship to the University of California, Los Angeles. “We used to say, ‘I’ll see you in California.’ It was a joke that meant ‘I’ll never see you again,’” she said. From California, Magdalena moved to Washington, D.C. with her then-husband and her two children. After her divorce, she began selling her papercuttings in front of the Natural History Museum on the Washington Mall, and would often bring her children with her. One day two representatives of the Smithsonian approached her and asked if she wanted to participate in a symposium on paper. She said yes and was soon teaching the art of wycinanki at the Smithsonian. Magdalena met folklorist Jim Griffith at the Library of Congress and for many years taught her craft at the Smithsonian Associates Program. 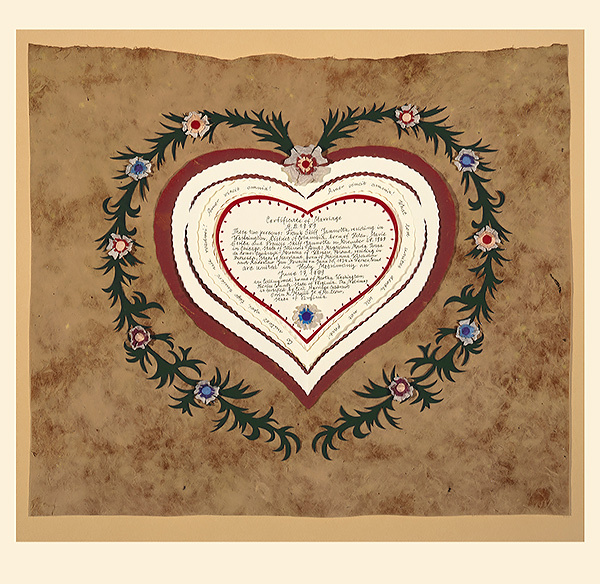 Many of her works are preserved by the Archive of American Folklife and the Library of Congress. Because she struggled with severe asthma, Magdalena moved to Tucson in 1992 to heal. 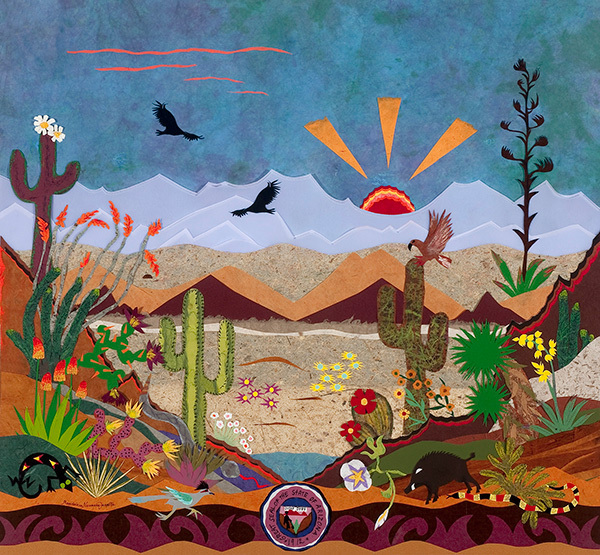 Eventually Griffith invited her to Tucson Meet Yourself, where she shared her craft for many years. Recently Magdalena has started teaching again. Many of her students are members of Lakjonik, a Tucson group that studies and performs traditional Polish folk dances as a way to preserve Polish culture. The troupe is a favorite among audiences at Tucson Meet Yourself, where it performs annually. As I fumbled with the sheep shears, trying to decide what cuts to make and where, Magdalena supervised my practice, encouraging me to be playful. When I unfolded my paper, it was… well, maybe a flower, but a strange, clunky one. “You just have to practice,” Magdalena said. Tak. Yes, yes I do. 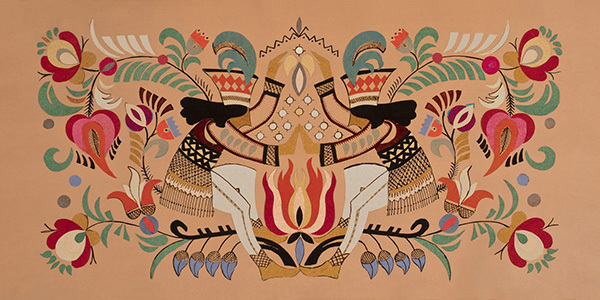 Magdalena will be demonstrating the art of wycinanki for a limited time at Tucson Meet Yourself. 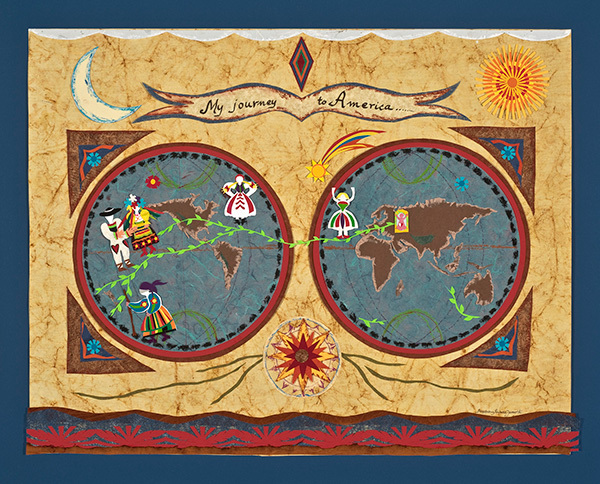 Find her in the Folk Arts area on Pennington St., Sunday, Oct. 14, 11 am to 2 pm. Moja Magdziu. Jak miło jest mi Ciebie zobaczyć w środku pracy twórczej. Pieknie robisz te wycinanki. Dobrze napisany artykuł. Proud of my school friend!! 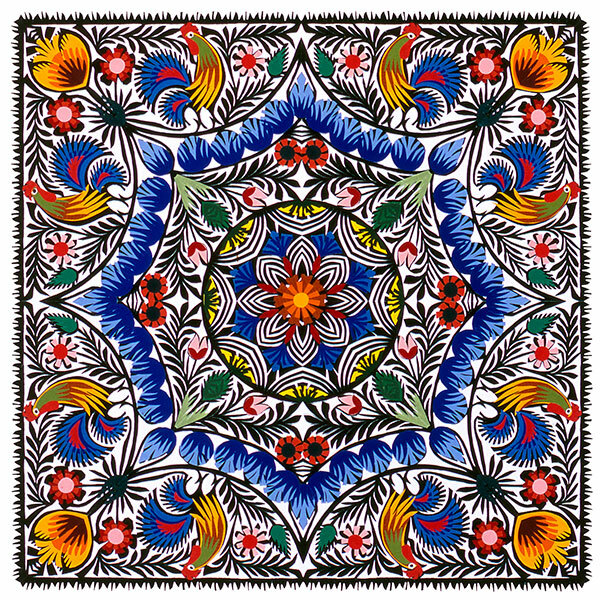 You showed how beautiful art can be derived from out Polish folk tradition. Wonderful article – thank you! I’ve seen Magdalena’s work and they are spectacular. So intricate and lively. I am always amazed as to how she makes them without drawing anything ahead of time and using sheep shears. There are so many fantastic facets to this remarkable woman – I learn more and more. She is a treasure and talent in all her endeavors, great article, great recognition…thanks! !